Vaillant House was originally conceived by Washington's most famous architect Ehrick Rossiter as an artist's summer escape. 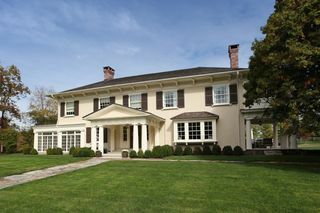 Recently, the house was rebuilt and renovated by the area's top designer and reimagined by a preeminent NYC decorator. The interior rooms were 'taken down to the studs' and enriched with luxury finishes and textures. The original basic moldings were not representative of Rossiter's work at that time so they were redesigned in keeping with the colonial revival and Mediterranean direction. Ehrick Rossiter had a fascinating history; born in Paris, France to American Parents, he returned to the United States to attend Frederick Gunn's school 'The Gunnery' in Washington, CT. He designed many important town buildings such as the Memorial Gunn Library, St. John's Episcopal Church and the clubhouse of the Washington Club. He is best known for his architectural designs of 25 estate homes, often called "summer cottages," in the Queen Anne shingle and colonial revival styles. Vaillant House was also originally a 'summer cottage', in the Italianate style, but is now completely refurbished and renovated to make it a four season estate. Some of the interior design details include a gourmet kitchen with 2 inch concrete countertops with custom cerused white oak cabinetry. 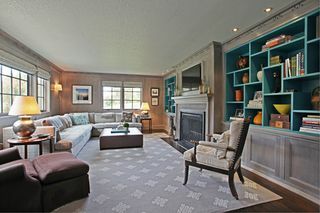 An uber chic living room features a massive fireplace with original mantle and reconditioned moldings. 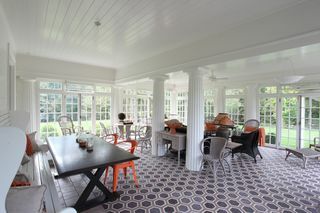 This area opens to a stunning expansive sunroom which incorporates the original floor to ceiling French doors. 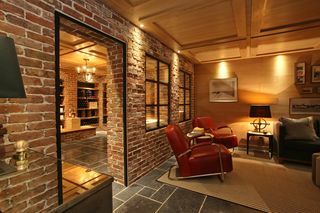 An exceptional example of the renovation is the basement which was dug out to create a remarkable wine cellar. This space is a wine connoisseur's dream, featuring rough-grouted brick walls, a unique waxed oak raised panel ceiling treatment, and full temperature and humidity control for 1500+ bottles. Wide board chestnut planks found in the attic were repurposed to create the shelving. Along with a bar, 1/2 bath and media center, it is the quintessential "man cave". Private vistas from the house are wide-reaching and very unique for a property so close to town. 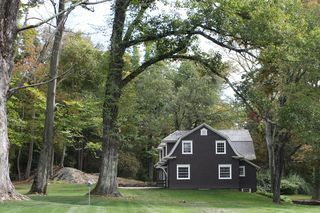 The original Rossiter Carriage and Groomsman's quarters complete a backdrop that is like a rich Litchfield County version of 'Brideshead Revisited' and is its own, 'Rossiter Revisited'.